1) The barter exchange exercises no influence over the judgment of the lawyer. 2) The barter exchange's listings and advertising for the lawyers are truthful. 3) The barter exchange accurately discloses which states the lawyer is licensed to practice in. 4) The barter exchange provides a complete and impartial list of all participating lawyers in the exchange and does not restrict the number of lawyers in the exchange. 5) The barter exchange does not do "in person" solicitations of members by the barter exchange manager or broker on behalf of a exchange member lawyer. 6) Advance payments for litigation expenses or other expenses of representation must be paid in cash, check or credit card, since Rule 1.15 requires a lawyer to deposit such funds in a trust account and barter dollars cannot be deposited into a bank trust account. In the future, IRTA will use this opinion to persuade those few State Bar Associations who have a negative opinion on this matter to reverse their anti-barter exchange stand. Questions may be directed to IRTA Executive Director Ron Whitney at (757) 393-2292 or ron@irta.com. Operating any business involves balancing a number of variables, including growth, capital resources (human, equity and cash), strategy, vision, execution and various stakeholder needs and expectations. It is my job as CEO, with the Board�s oversight, to allocate our resources wisely for their best long-term benefit, to focus on the right opportunities, to avoid distractions, and try to meet the needs and expectations of our various constituencies without compromising the integrity and stability of our organization. The majority of our decisions are based on what we believe to be best for ITEX�s long term success, not on maximizing short-term gains or taking unnecessary risk. We believe our long-term perspective is evident in our consistent and steadily improving financial results. Increase stockholder value by improving operating performance, building assets and long-term potential. 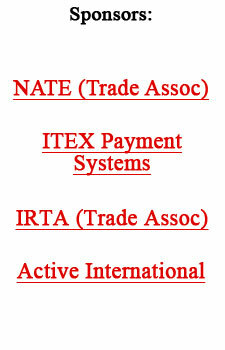 We have accomplished much over the last seven years to the benefit of all ITEX stakeholders. ITEX is in the best financial condition in its history; our member and broker base is considerably larger due to successful acquisitions; our brokers and staff have excellent tools and resources to be efficient and productive; the value proposition for our members continues to improve; our technological infrastructure is robust and scalable; we are timely, compliant and transparent in our public company reporting; our stock price has consistently appreciated over the years; we now pay quarterly stock dividends; and our position ranking as number one in our industry is undisputed. It has taken a lot of hard work from our cohesive team and astute management of our assets to get us where we are today. All debt incurred as a result of acquisitions has been paid in full. I�m pleased to report in fiscal 2010 our financial condition continued to strengthen. Fiscal 2010 represented our seventh consecutive profitable year, reflecting increases in revenues, operational income, net income, assets, stockholder�s equity and stock price. In addition, we have a strong, high quality balance sheet, ending the fiscal year with $5 million in cash, double last year. Operational income increased to $1.674 million compared to $1.027 million last year; a 63% increase. Net income increased to $946,000 or $0.26 a share. We attribute our financial success, in part, to the disciplined management of our finances, our ability to utilize a lean, smart, and industry-experienced staff, and our dedicated brokers. We have sought to only add positions suitable for a company our size to ensure profitability in difficult economic times. SG&A expenses, including corporate salaries and benefits (excluding depreciation) have steadily declined as a percentage of revenue from 41% in 2003 to 23% in 2010. During this same period, the cost of Marketplace revenue, which represents compensation and investment in our Broker Network, increased from 60% to 64%. We are very proactive in helping our franchisees succeed. For example, we have a highly qualified corporate staff dedicated to servicing their needs; we continually upgrade internet tools and marketing materials; we host weekly sales and customer service training calls; we host a �CEO call� with franchisees every few weeks, which includes a Q&A session; and each year we sponsor a national convention and two regional conferences that facilitate teamwork between our staff and franchisees. Last month, we held the largest regional conference in our history on the gulf coast of Florida. In 2010 we continued our investment in our technology, our web services initiatives, and various broker initiatives including new desktop computers and the latest software packages. We announced a $2 million stock buyback plan in March 2010 and commenced a first ever quarterly cash dividend payment in June 2010. As a result of our strategic decisions and execution, key acquisitions and a lot of hard work, ITEX is now in its best financial position and poised to have success in the future. Paid a cash dividend in the amount of $0.025 per share during the fourth quarter. ITEX�s future continues to be very bright. We have a healthy balance sheet with access to more than $8 million in capital, including our bank credit facility. Access to capital is the key for pursuing strategic opportunities. Operational cash flow in 2011 is expected to remain strong, allowing us to continue to invest in our Broker Network and in our technology, make quarterly cash dividend payments, and fund our stock buyback plan. We will review our cash position quarterly to balance between the short and long-term needs of our business and determine the best return to our stockholders. While cash preservation is not our sole objective, it has great value in uncertain economic conditions. ITEX�s results since 2003 demonstrate the benefit of maintaining a longer-term perspective. Although cash can be readily dissipated on short-term objectives, it takes discipline to develop capital to preserve our ability to capitalize on opportunities when they arise. We continue to work on improvements to our proprietary TEAM software and plan to launch a new platform in late 2011. When completed, all trading community participants will benefit from an even more robust, flexible, and efficient technology platform. We approach our business with a sense of pride and with a focus on excellence. The policies and strategies we have implemented over the past several years are creating revenue, reducing expenses, and continue to foster a high-performance culture. We are optimistic that our strong performance will continue � to the benefit of all ITEX stakeholders. Once again, I would like to personally thank our employees and the franchise network (and their staff) whose dedication and drive is a vital component in our success; our members, for whom we strive to deliver value and service; and our valued stockholders for your continued support and interest.